Search below to find properties for sale at the W Residences Dallas. To change how the search is displayed, click the gray button next to "Sort Listings By." Using the gray button below, you can sort condos by prices or days on market. 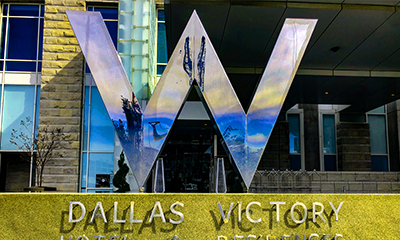 For information about a particular unit is listed at the W Residences Dallas for sale, or to schedule a showing, click "Request a Showing" when viewing any of the W Dallas Victory Residences condominiums. You can also create and save a custom condo search by clicking the "Save this Search" button and register for a free account. A saved search will allow you to receive email alerts when any new W Residences for sale hit the market. KnoxRE.com is updated every 15 minutes by a direct feed from the local Dallas-Fort Worth MLS which will give a visitor desired information for any Dallas W Hotel Residences for sale like property images; days on market; subdivision information; feeder school information; HOA dues; frequency of the HOA dues; estimated county taxes and more. If you see a listing displayed, it means the condo is still available for purchase. Our site only displays currently active condos for sale at W Residences Dallas. If a listing goes under contract, it is removed from the listing display for ease of use and navigation for visitors. 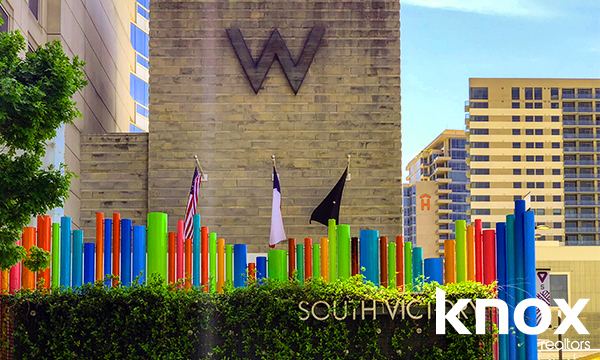 To view more condos for sale near the W Dallas Victory Residences, see the alphabetical list of buildings in the area below. Click on any of the listed buildings below to visit that page. If you would like to view all Dallas real estate listings, click on the link at the top of the page. The Residences at W Dallas are modern and contemporary with clean lines and minimalist design. You will not find traditional architecture within the building or condos. Most units for sale at the W will come with either stone or hardwood flooring. As the building was constructed, owners were allowed to choose their own types of flooring and most owners decided on sleek hardwoods or true stone in (mostly) Travertine or Slate. Kitchens in the units will come with upgraded stainless appliances and built-in refrigerators. Kitchen cabinets tend to have an "earthy" look which accentuates the natural wood grains and finishes. Both kitchen and bathroom counters will be stone. Marble was a popular surface choice for original owners, but you can also find condos for sale with granite and quartz countertops. Each unit will have a balcony. Almost all balconies are a symmetrical rectangular shape, but are spacious and generally run the full length of the unit. Outdoor grills are not allowed at the building. The amenities at the W Residences include valet service, 24-hour concierge services, in-house dining options, swimming pools, workout facilities and Bliss Spa in the North Tower. The Residences are also connected to the W Hotel and are literally across the street from the American Airlines Center where the Mavericks and Stars play their home games. In addition to sports, the American Airlines Center also hosts a wide variety of shows and concerts. 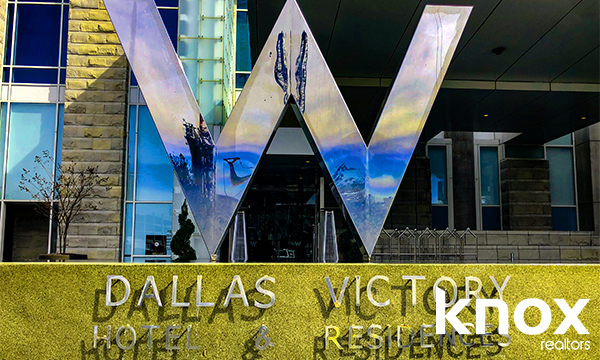 Considering looking homes, or selling a Residence at the W Dallas? Knox & Associates real estate agents are W Dallas experts, and we’d love to help! Our direct phone number is 972-342-0000. Or you may contact us via the contact form here. If you are looking at real estate for sale, contact us to schedule showings of the properties that catch your attention. 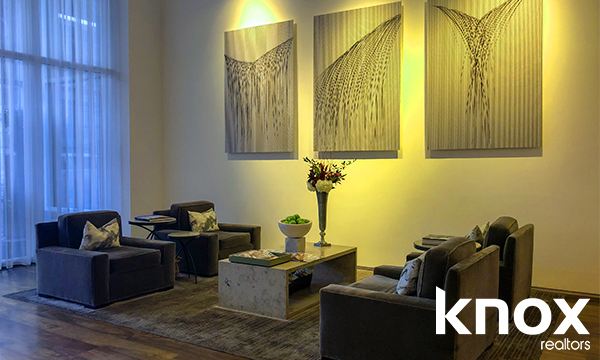 For sellers, our W Residences Dallas REALTORS® will schedule a convenient time to meet for a consultation; create a custom, full-market analysis of your house; and formulate a fair-market opinion as to the best asking price for your home. 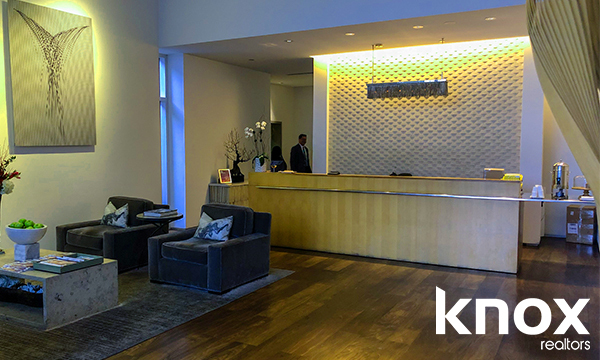 We can provide up-to-the-minute real estate statistics: current average asking prices on the homes for sale; the sales' history of currently sold Residences in the W building and information about broader market trends so that you can make a well-informed decision. Knox & Associates' REALTORS® are full-time, trusted, professional real estate agents. This means you will be teaming with a dedicated expert whose goal is to negotiate the quickest home sale possible with the highest net return to the client.